ONSLOW COUNTY, North Carolina -- The Onslow County Sheriff's Office and the FBI announced Saturday that they have recovered the remains of 3-year-old Mariah Woods. The Fayetteville police dive team recovered the remains around 5:30 this evening. * A 32-year-old man has been arrested and charged. * The search will shift to a recovery effort. *Warrant obtained suggests the death of Mariah Woods. *Search expanded into an additional area in Pender County. The Onslow County Sheriff's Office and the FBI announced early Saturday that an arrest has been made in connection with the disappearance of 3-year-old Mariah Woods. Earl Kimrey, 32, was taken into custody by investigators at the Onslow County Sheriff's Office on Friday. Concealing of death; obstruction of justice, second-degree burglary, felony larceny and possession of stolen property. 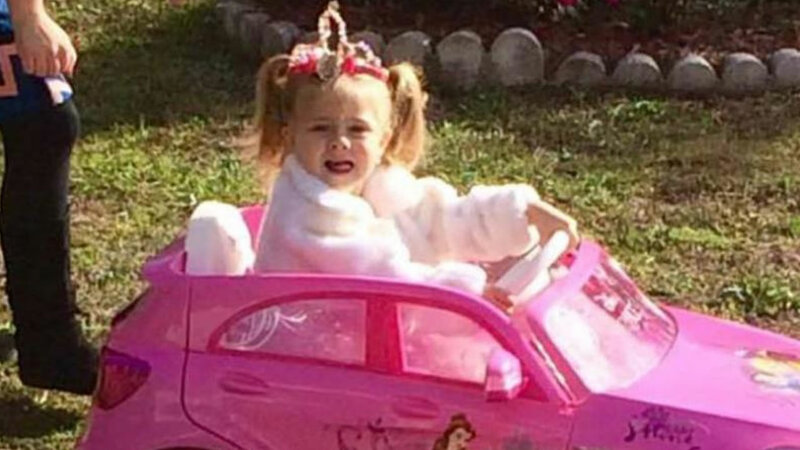 A warrant obtained said that Kimrey obstructed justice by "removing Mariah Woods' body from the scene of her death and did conceal Mariah Woods' death and body, knowing that Mariah Woods died from unnatural causes. The defendant acted with deceit and intent to fraud." The warrant also said authorities believe that Kimrey "secretly disposed of the dead child's body." Kimrey is being held in the Onslow County Detention Center under a $1,010,000 bond. District Attorney Ernie Lee has been consulted on the current charges and additional charges could be pending as the investigation continues. The FBI said because of evidence gathered, it believes that Mariah is dead but no body has been recovered. "I wish we had a different outcome, but I know this community will support each other as we all grieve the life of this little girl and focus, still, on finding her," said Sheriff of Onslow County, Hans Miller. "The searches will now shift to a recovery process," the FBI said. FBI officials confirmed that the search had been expanded into an additional area in Pender County. The focus is on two areas of interest along Highway 17 near the Southwest Creek Bridge and Highway 53 and the Shaw Highway area in Pender County, according to FBI officials. Anyone with information should contact Onslow County Sheriff's Office at 910-455-3113 or Crime Stoppers at 910-938-3273.